Keypad Lock Screen WatchDog is an application for protect your mobile phone and tablet from third persons with spy camera capturing. Screen unlock is impossible without correct password. Access will be granted only when you enter right Passcode. If anyone tries to unlock your phone with wrong Passcode, this app will capture their photo using the front camera and alert you when unlock successful. This app will send the thief/intruder’s photo to you by e-mail also (Premium Feature). 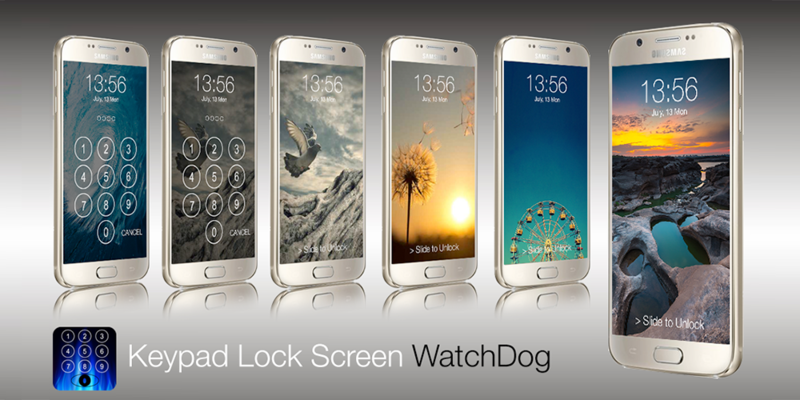 For the first time use, Keypad Lock Screen WatchDog will ask you to set new PIN. You can set Passcode by enter Passcode on keypad. If You want change lock screen pin number click Set PIN. Have an any idea to improve the Keypad Lock Screen WatchDog? Let us know by write review and we’ll do our best to make this app better. * This application needs front camera in your mobile to work properly. * IF lock screen not active just open Keypad Lock Screen WatchDog app and exit to reactivate. * Please check your SPAM/JUNK folder in your mail, if you didn’t get the email in your inbox. If you have a question, fill free to contact our email address in English.